The fourth installment of Covers from the Unknown looks at Superman Batman #7 French Limited Edition Variant, with an amazing cover by Gabrielle Dell’Otto. This comic was distributed by Panini and is limited to 2,000 copies. Like most of the French editions of American Marvel and DC comics, It is actually a combo comic, and contains Action Comics #843, Superman #646, Batman #657 and Detective Comics #823. Good luck trying to find anything that ties all those comics together though. It is definitely a weird assortment to put together in a combo comic. 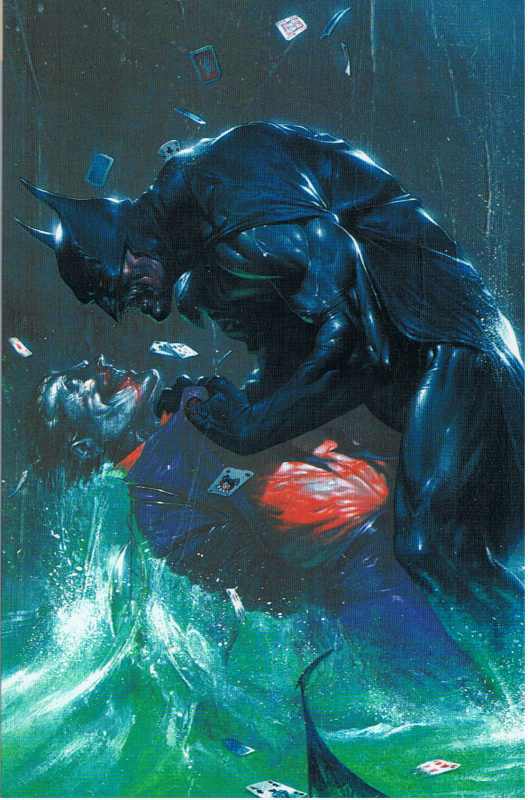 It is quite a shame that cover has never been released in any way in the US, since it has the making of one of those symbolic Batman Joker covers. A few pop up here and there on the bay (which is the only place I have ever seen them), and usually go over $50. This is one of those comics you probably have to have if you are a Batman or Dell’Otto fan! Happy Hunting fellas! Very cool cover…since I don’t search French comics, I would have never seen this. Thanks! I own one and it is WAY better looking in hand. It is front and center of my display with Batman #1 New 52 1st-5th prints and Van Sciver’s variant. Always loved this cover myself. It’s just frustrating how when you do find one on the bay….. Its price gauged to ridiculous prices. Like $149.00, but then two days later, they’ll put it on “sale” for a cool $100. Nice book but I just don’t think its worth a c note right now. Considering all the other rare books I could grab for 100-150 big ones…..